The residents of Chidambar Nagar have always faced problems no water drainage and no gutters in most of its locality. In some parts the gutters were constructed and as a tree fell its way, thankfully the work was stopped and tree was not chopped off as it would have normally done. But now the work has stopped at this point and construction of the gutter is of no use as the water goes nowhere. 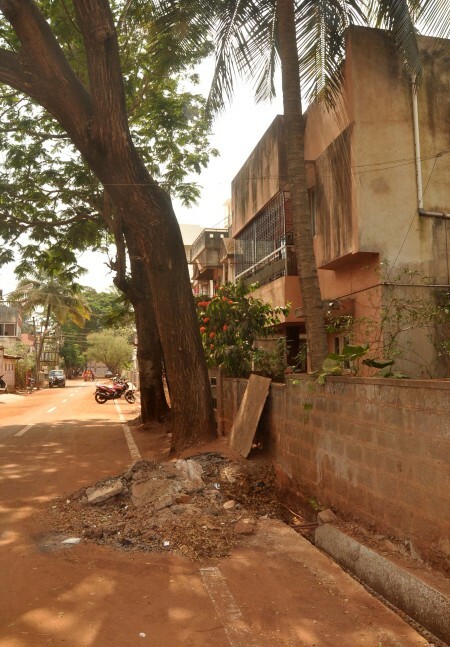 The contractor did stop the work at the tree which is a welcome thought but something could have been done by the engineers to divert the said gutter around the tree and complete the work. The residents are in a catch 22 situation, to save the tree or get the gutter work completed.